Chardonnay reigns supreme among new releases from the Santa Lucia Highlands. The 2011 vintage brought with it pretty much the same challenges faced by growers across California; namely poor flowering and a long, cool, growing season with no heat spikes at all. Overall, Chardonnay is the most consistent variety, while Pinot and Syrah are much more uneven. 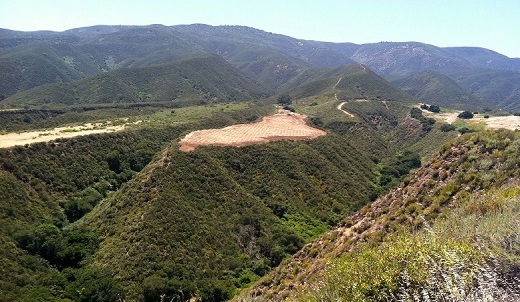 Although the Santa Lucia Highlands is generally regarded as one region, in reality there can be significant differences between the southern and northern ends of this strip of vineyards. In 2011, growers reported cooler and wetter conditions in the north, but slightly more favorable weather in the south. One of the best performing sites was Gary Franscioni’s Sierra Mar (pictured on the cover), which benefitted from higher altitude plots where the greater exposure to the sun was a help in drying out the rain. The 2011 Santa Lucia Highlands Chardonnays are beautiful wines that will drink well right out of the gate. Like most 2011 California Chardonnays, the wines have substantial energy and focus, but in the Santa Lucia Highlands the Chardonnays also show the distinct floral and lightly tropical-infused notes that are one of the signatures of the appellation. Readers will have to be more selective when it comes to Pinot Noir and Syrah. Cold, windy weather during flowering resulted in a poor set. Growers reported that the Pinot crop set late and also ripened late, while Syrah set closer to its normal time frame, but ripened earlier than normal. By far the biggest challenge in 2011 was a long, cool growing season with considerable rain. Daytime temperatures never exceeded 85 degrees, nor was there anything even approaching a heat spike all summer long. The harvest took place within a fairly constricted, narrow range of just a few weeks, with most of the fruit coming in from mid-September to mid-October. When I tasted the 2011s last year my impression was that a lot of wines tasted like they were made from fruit that never fully ripened because the window to harvest closed before optimal maturity was reached. That impression was confirmed this year. It is a vintage where growers who were extremely selective with their single-vineyard bottlings excelled, as much of the juice was honestly better suited to appellation-level wines. The 2011 Pinots and Syrahs are generally forward and should be enjoyed sooner rather than later. Within a global context, there is little doubt viticulture and winemaking remain very much in their infancy in the Santa Lucia Highlands. It is important to remember that up until recently this part of California was much better known for growing lettuce than high-quality wines grapes. The first vineyards were developed only in the 1970s. Larger, outside wineries followed in the 1980s and 1990s, attracted by cheap land and plenty of room for expansion. But most of the credit for the boom in high quality production, and the resulting widespread attention from the media and consumers that followed, belongs to the first generation of local farming families, including the Pisonis and Franscionis, and the winemakers who first bought fruit from them. Today, things are totally different. Growers are now putting their experience to use in a newer, second generation of vineyards that have been developed over the last few years. Those vineyards – specifically I am thinking of sites like Soberanes and Sierra Mar – are among the most exciting because they reflect all that has been learned over the years. Clonal selection, row orientation, vine density and a number of other variables are now getting much more attention and care. There is no doubt in my mind the best wines from the Santa Lucia Highlands have yet to be made. The quality that producers have achieved so far is nothing short of remarkable, but it will probably take another generation or so before we truly understand the potential of these sites. As I have done for the last two years, once again this year I am dividing Central Coast coverage into several smaller articles in order to give greater focus to each of the specific regions that make up this vast set of appellations that essentially spans just north of Los Angeles to just south of San Francisco. An article on the wines of Paso Robles will follow next week to round out published reviews on the wines of Santa Barbara, the Santa Cruz Mountains and the Santa Lucia Highlands. All of the wines in this article were tasted in June 2013.